We just learned about the Waxy Monkey Tree Frog. 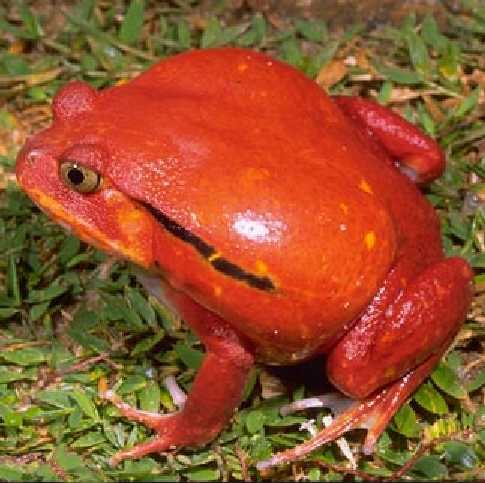 Another type of frog is the Tomato Frog. These frogs get their name because they look like a big red tomato. They live mostly in Madagascar, and their bright color is to warn off predators because they are poisonous.